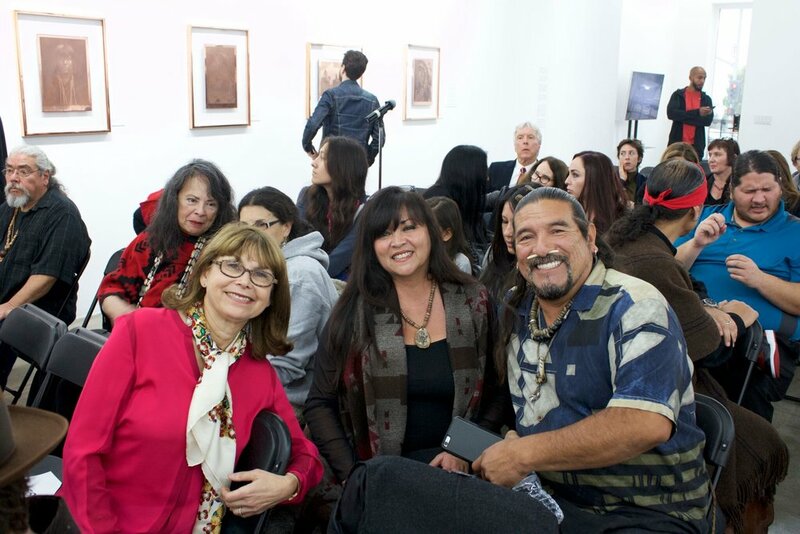 On December 15, 2016, North Dakota's Standing Rock Sioux Chairman, Dave Archambault II, met with Los Angeles areas Native American Leaders, Elders and Native led nonprofits for a welcome ceremony and private meeting hosted by the Depart Foundation (https://www.facebook.com/depart.foundation/) in West Hollywood. The private meeting commenced with Mati Waiya (Wishtoyo Chumash Foundation Founder and Ceremonial Elder) placing a circle of tobacco with an abalone shell and sage bundles in the center of a circle to ground all participants in ceremony and a prayer given by Tongva Elder, Julia Bogany. All in attendance welcomed the Chairman with traditional and other gifts and words expressing solidarity and gratitude for the Standing Rock Sioux Tribe's leadership in providing the example of protesting in peace and prayer to protect their traditional land and water from the Dakota Access Pipeline in the face of a militarized police force. http://www.npr.org/sections/codeswitch/2016/11/22/502068751/the-standing-rock-resistance-is-unprecedented-it-s-also-centuries-old. A discussion regarding the fact that "Standing Rock is Everywhere" layed the groundwork to speak about local "standing rock" issues and a comparission of different laws used to help protect Native American cultural resources, water, sacred sites, and treaty rights and the complexity of working with Federal Agencies. 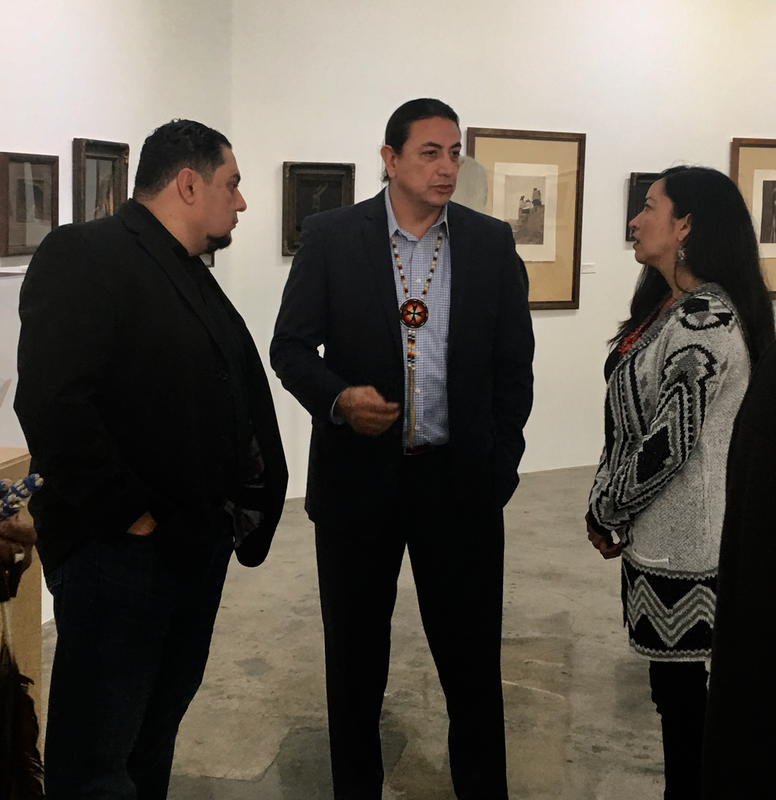 Chairman Archambault expressed that he was very grateful for the overwhelming support and would be happy to reciprocate support in local efforts. The two hour meeting ended with a prayer given by Tongva Elder, Gloria Arellanes. 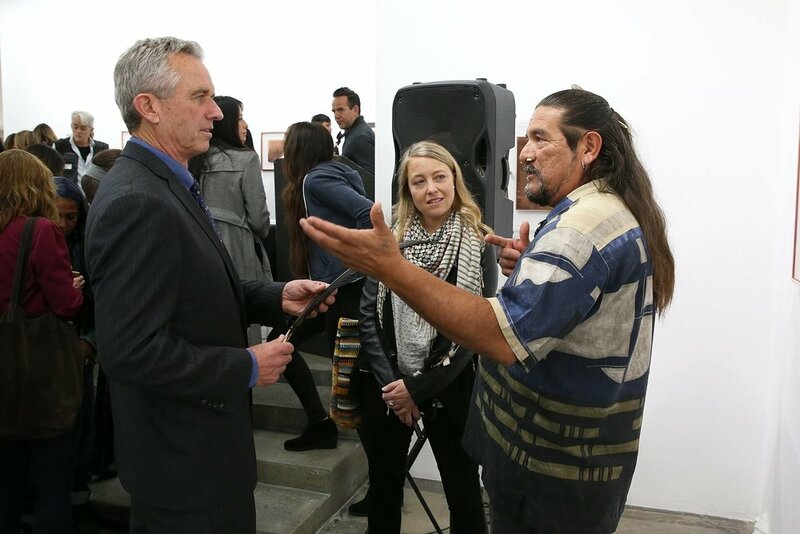 The Chairman went on to prepare for a first time public conversation in Los Angeles on a speakers panel with Robert Kennedy, Jr., Jane Fonda, Bruce Kapson, moderator Jon Christensen and special guest speaker, LaDonna Brave Bull Allard.The panel spoke to the current status of legal and on the ground efforts being made to stop the Dakota Access Pipeline from being completed and the fact that, even with, the December 5th announcement that the Army Corp of Engineers would not permit the Energy Transfer Partners to proceed with the Dakota Access Pipeline, the battle was not over. The Chairman had previously announced, "I know this is a victory for this one DAPL battle, but we have not won the DAPL war. There will be more battles ahead and we will contine to strategize and win. The camp has brought us this far -- now it is time we pivot to the next phase of this struggle. That will be lead on different fronts like in court, with the new Administration, with Congress, and with investors." (standingrock.org and sacredstonecamp.org). The Chairman shared how unexpected it was that the "camp" would grow to include literally hundreds of Tribes, and thousands of people; Native and Non-Native Folks, Environmentalist, Celebrity Activists, Veterans, supporters from all over the world, young and old. This movement is a profoundly important example and reminder of, as LaDonna says, "learning to live with the Earth again." Chairman Archambault, shared, that he didn't want people to come here (the camp) to die. We want our young warriors to live. To be good fathers, parents. Robert Kennedy, Jr. untangled the legal issues and put it into plain terms for all to understand. Jane Fonda strongly encouraged people to divest from the financial institutions that are backing the DAPL project (defunddapl.org). She's currently organizing to do just that. For her Birthday on December 21st - the Day of the Winter Solstice Jane will remove her money from a LA area Wells Fargo Bank in efforts to encourage others to follow suit. 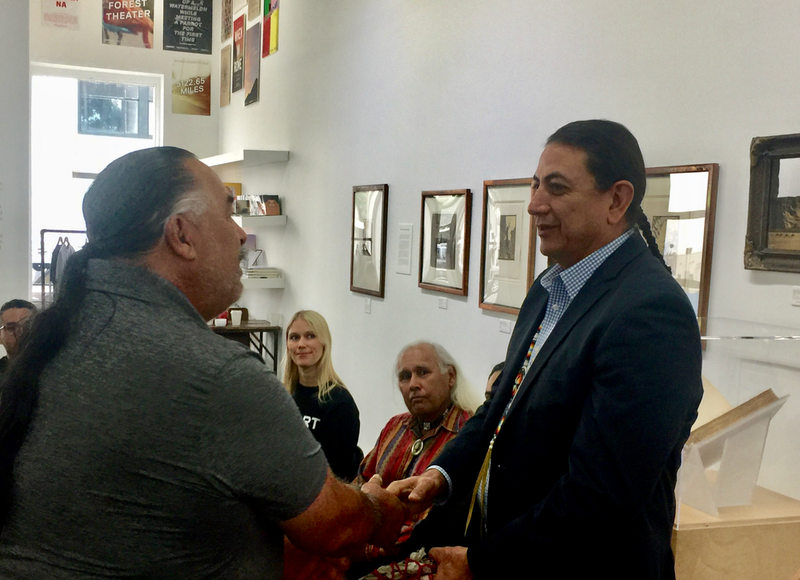 Special Thanks to the generous host Depart Foundation and the Tongva Elders of Los Angeles for opening and closing these two events with prayer. 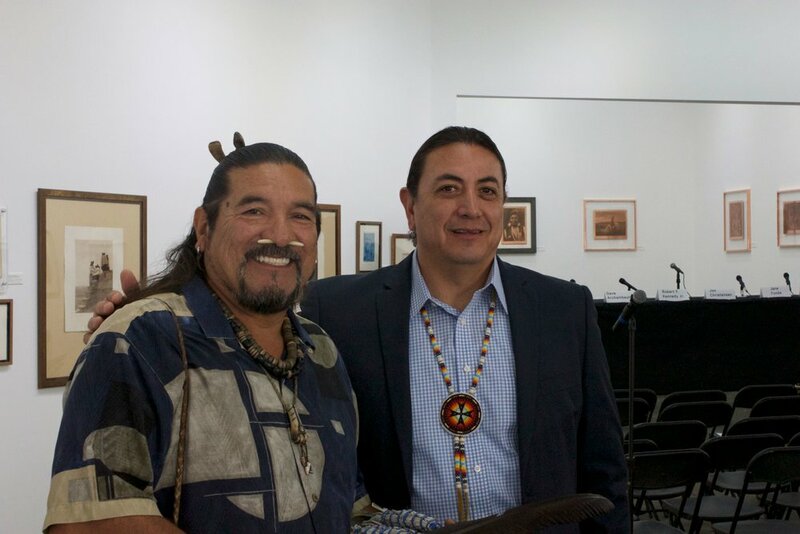 Mati Waiya, Chumash Ceremonial Elder and Executive Director of Wishtoyo Chumash Foundation and Standing Rock Sioux Tribal Chairman Dave Archambault II at the Depart Foundation. Fernandeño Tataviam Band of Mission Indians Elders Council Chairman, Alan Salazar presents Chairman Archambault a traditional gift. Eddie Nunez, Acjachemen and producer for First Nations Experience (FNX). 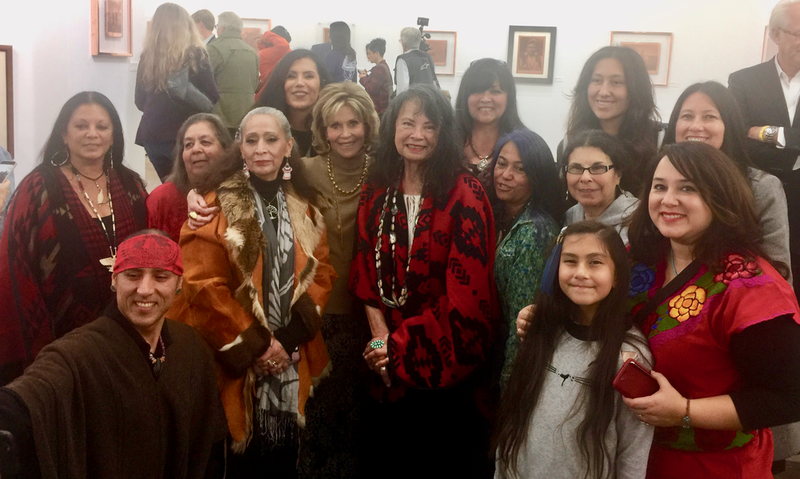 Chairman Archambault and Robert Kennedy, Jr.
Mati Waiya, Jane Fonda and Robert Kennedy, Jr.
Tongva Elder, Gloria Arellanes closes the Depart Foundation Public Panel discussion with a prayer with Mati Waiya standing next to her. He'l'o'kal Antikich - Water is Life! !